With depression being the most common mental health complaint in a doctor’s office, treating depression often relies on more than just medication. It requires identification of the psychological and environmental factors that may be triggering depressive episodes. For a number of people, depression and negative thinking go hand in hand. Certainly, we know that people who are depressed are likely to feel emotions such as sadness, hopelessness and lack of self-confidence. We know that it is not positive thinking that tends to underpin depression but negative, destructive thinking. It is normal for many of us to have negative thoughts on occasion. 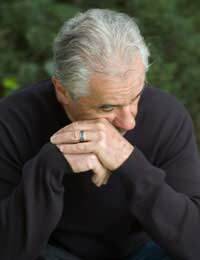 Depressed people, however, are often overwhelmed with negative thoughts. When a depressed person embraces positive thinking, it can allow them to effectively overcome depression while others reduce the symptoms and manage it day-to-day. Does Depression Cause Negative Thoughts? The cycle of depression and negative thinking can be a complicated one. That’s because a person who becomes overwhelmed with negative thoughts is more likely to experience clinical depression. Yet once they are depressed, their psychological and physical status can make them more prone to negative thinking. In this way, changing negative thoughts to positive ones can make a significant difference in the path to recovering from depression. There are a number of approaches to shifting away from negative patterns of thinking to positive ones. Many will agree that positive behaviours start with positive thinking. For this reason, cognitive behavioural counselling is a popular, effective form of counselling for depression, particularly where negative thinking is a key issue for recovery. Other ways to cope include strategies and tactics to quickly stop negative thoughts right when they start. This involves recognising situations that can trigger such thoughts and learning how to flip the situation into a positive light. Other approaches involve building self-esteem to help you be more positive and resilient to challenging and otherwise stressful situations. Cognitive behavioural counselling is based on the premise that by changing negative patterns of thinking into positive ones, you can better make positive behavioural choices. The meanings that humans assign to a situation are not always realistic. These meanings are often based on negative thoughts and feelings that lead us to act in harmful ways. Cognitive behavioural counselling teaches a depressed person how to harness various psychological tools that can help them to essentially turnaround a bad situation into a good one. The result is better coping skills and hopefully improvement in the symptoms of depression. While other forms of counselling can also help, cognitive behavioural counselling deals specifically with negative thinking and subsequent behaviours. In addition, there is a great deal of evidence to prove its effectiveness. For some people, negative thinking stems from loneliness and lack of communication with other people. A depressed person will become isolated and lonely, often believing that they aren’t ‘good enough’ or don’t deserve friendships. These kinds of negative thoughts are best handled through the introduction of positive relationships along with self-esteem boosting activities. For those people suffering from depression, finding where to start when it comes to building relationships can be tough. A good way to meet new people in a safe and comfortable way is though a self-help group for depression. Often, these groups continue outside of the scheduled meetings through individual connections. There are studies to suggest that having a pet is also a good way to experience a positive relationship. While they shouldn’t necessarily replace positive relationships with people, owning an animal imparts a sense of responsibility and purpose for some people. This can be just the thing to help them out of their shell and approach the future with more positive ways of thinking. Another important consideration when trying to overcome negative thoughts is to boost your self-esteem. People who have poor self-esteem are more likely to have negative thoughts about themselves and those around them. Improving your self-esteem can be done in many ways. Try out a new hobby – whether it’s a sport, art or photography. One of the ways in which depression manifests is through lifestyle choices. A person who is depressed often shows major changes to their eating patterns. They may have little or no appetite. Or, they may partake in binge-eating as a way to medicate their emotional pain. Healthy eating along with exercise to release endorphins, nature’s ‘feel good’ chemicals, can help you to feel more positive, transforming negative patterns of thinking into positive, productive ones. For many people, managing the symptoms of depression goes beyond therapies such as cognitive behavioural counselling. It also includes lifestyle changes that put their body in the healthiest state to support a positive mindset. For people who suffer from depression, learning how to handle negative thoughts can be critical to their recovery. Speak to your doctor about how you can obtain therapy or support to improve your body and psychological well-being. With the right changes, you can transform negative thoughts into positive ones - and partake in behaviours that represent a happier you.